Monique Pool really likes sloths. And that’s lucky, because there have been nearly 200 of them into her home in Paramaribo, Suriname — all invited, of course, as msn.com reports. Pool turned her home into the Green Heritage Fund Suriname, a sloth sanctuary that operates with help from the Conservation International. She didn’t intend on rescuing quite so many of the critters; she was responding to information from the Animal Protection Society of Suriname about 14 sloths that were found on a private land plot that was being cleared . 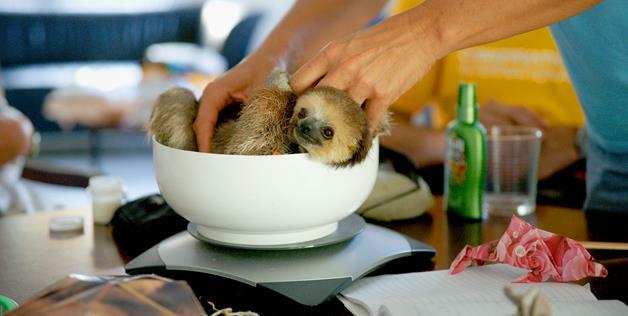 (Sloths must be tough to count, because 14 turned out to be 200.) Since then, Pool and her volunteers have been busy bottle feeding sloth babies and finding cecropia tree leaves for the adults to eat. Pool has reintroduced most of the sloths to their natural habitat. 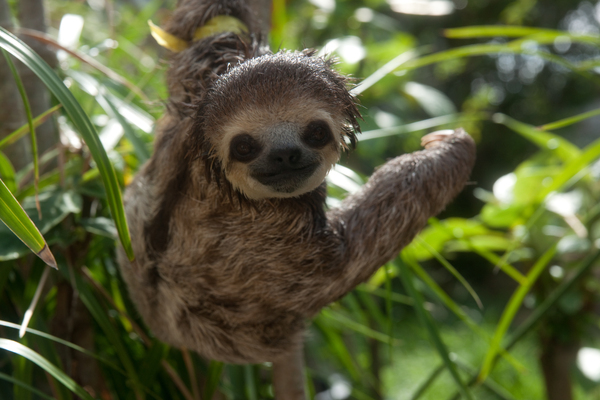 Check out some adorable pictures of Pool’s sloth buddies by Becca Field (as are those on this post) by clicking on the link below for a slide show. 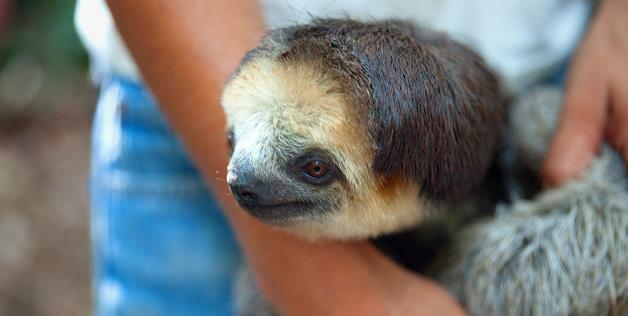 Sloths are so photogenic that they have been recruited to serve as animal ambassadors for Suriname. Reblogged this on Dutch Guyana.